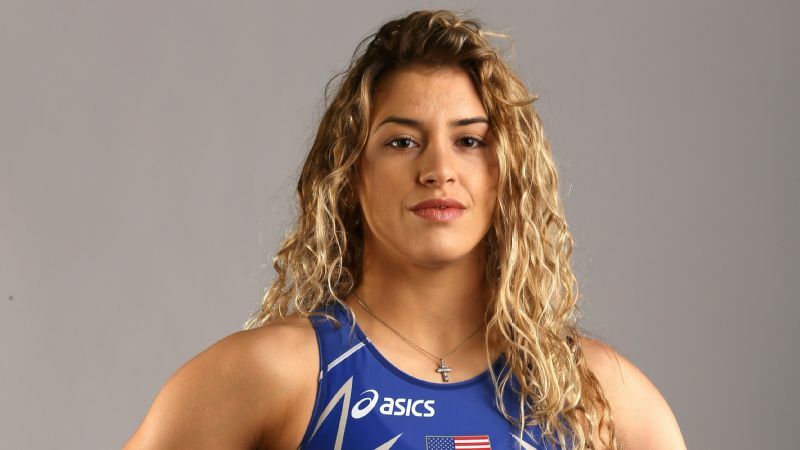 Olympic wrestler Helen Maroulis, 25, made history in Rio, where she became the first American to win a gold medal in women's wrestling -- a feat that she admits she never thought would happen. Maroulis is analytical and calculative, scrutinizing every decision she makes with an efficient precision. She also has been undefeated on the mat since 2014. Her career hasn't always been a smooth transition, though, from losing the 2012 Olympic trials by a point, to changing her lifestyle to make the 53-kg Olympic weight class. Maroulis' uphill battle over the past four years just to reach the Olympic title fight has been nothing short of a humbling triumph. espnW spoke with Maroulis about her journey to Rio, life after making history and staying mentally strong. espnW: Have you been anywhere near a mat since returning home? 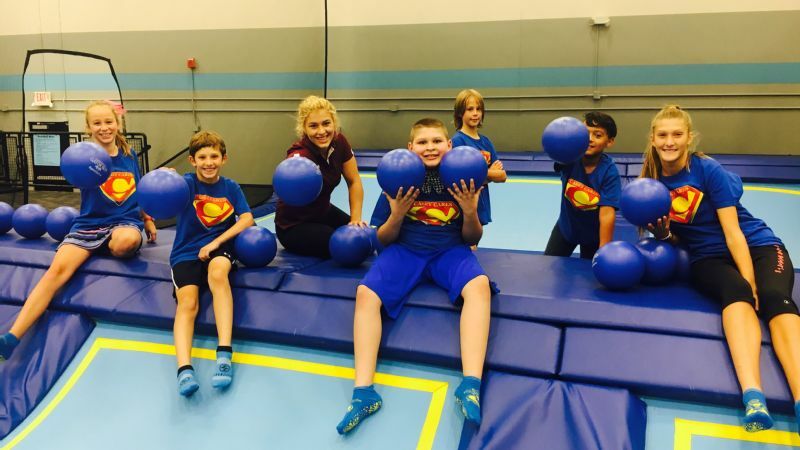 Helen Maroulis: When I came back I just wanted to stay in shape and keep working out, so I would try to lift every other day, run sprints or at least go on walks. I was planning on competing in November, but these last couple of weeks I've just been getting kind of run down and I said I have to look at this from a four-year period and not jump back into this; take my time and take a break. I did get on the mat in Greece. I didn't practice, but I ran a warm-up for a kid's club. 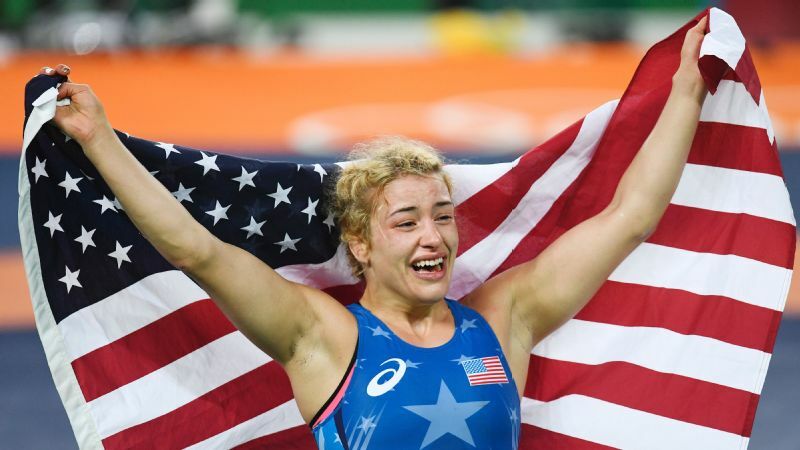 espnW: For Olympic sports like basketball, which will continue to get national coverage once the Games end, unlike wrestling, what are you doing to stay relevant between now and the next Olympic Games? Maroulis: I'm saying yes to pretty much the majority of opportunities my agent and I see as beneficial. I'm really waiting for a day or two off, I just haven't really had time to myself. At the same time, this is what I asked for, and I'm treating this like wrestling from the standpoint that I think you sacrifice for yourself first before you reap the benefits. If anything, it's keeping in check why I'm doing it. I want to promote women's wrestling. I don't necessarily need to promote my story. I loved my life before the gold and I've enjoyed my life since then. I would hope that at the same time being relevant isn't just from the standpoint of how it serves me, but what my message is. It makes it really rewarding and valuable and that might not have a direct translation to endorsements. espnW: Speaking of staying relevant, you had to change weight classes from 55kg to 53kg, which is roughly 5 pounds. How did you approach that adjustment in a healthy way? Maroulis: It was extremely difficult to do this diet. And I know that everyone diets, everyone cuts weight, but I was trying to be as perfect as possible -- clean eating, everything. I would just be like "I know you don't want to do this diet, but you have to do this diet," and that was a 24-hour job and I pretty much could not screw it up. I think that gives me an edge in training, knowing how much I sacrificed. espnW: How did you make the mental adjustments to refocus for 2016 after losing at the 2012 Olympics by a single point? Maroulis: Losing in 2012 was something that was really difficult for me because I thought that I had done all the right things. I thought I had made a bunch of sacrifices -- I moved away from home, I was going in extra early and staying late and everything, so why didn't I win? I kind of just said, "All right God, if I'm really not capable of being an Olympian, that's fine, I've got to do it one more time just to know for sure, and this time I'll do it your way." A lot of the sacrifices I made this time are more from the comforts with my personality. You've got to kind of compare everything to a gold medal, you know: Is it worth it? Is this situation worth it? Is your social life worth it? Are all these things worth it? It was a lot of different types of sacrifices. I didn't know if those sacrifices would pay off. espnW: How often do you replay the gold-winning moment and being on the podium with the national anthem playing? Maroulis: Oh my gosh, every time I hear the anthem play when I watch football or whatever, I think back to that moment. I just got over thinking about how every time, in the back of my mind, I'd be like, "There's no way that I'll be good enough to win a gold medal; there's no way I'll be that girl." I always had to keep working for it, and maybe one day something will change and all of a sudden I'll be better. When I hear that anthem, it just reminds me that I earned the right to hear this song for my country, to represent my country. It's very emotional, but I'm an emotional person anyways. It was a dream come true. espnW: What are your thoughts on the protests that have taken place across professional sports? Maroulis: We live in a country where we have freedom of speech, but I think we all have an individual responsibility. I don't know [Colin Kaepernick's] personal views well in terms of how he thinks taking a knee is going to bring about change, or if he felt like that was the best option. It's something that I would never do. You have one voice, and you have to use it positively. I think there's good ways to do things and maybe not as productive ways. For me, it's an honor to stand for the national anthem every time -- it's always going to be. espnW: There were a lot of hardships on your road to Rio, how do you block all of that out when you step on the mat to face your opponent? Maroulis: You know what's interesting? I kind of grew up with anxiety, and for a majority of my career it hadn't been a good thing. My faith has played a huge role in wrestling the last couple of years. It was cool because what was a weakness at one point, actually, turned into my strength. Because of my anxiety and my tendency to overthink and over-analyze, I use that in a positive way to study my opponent. I looked back at the matches from the Olympics and I saw the faces of my opponents, and I was like "Everyone looks like they have another layer of tension." I was kind of used to wearing that face my whole life. By the time I got around to Yoshida, I felt like I had studied her so much that I knew her on a personal level. It wasn't about needing to win because I had to prove that I am good enough, it just raised me up to compete at the best of my ability. espnW: Much of the press coverage leading up to the Olympics centered on Adeline Gray. Did that ever bother you? Maroulis: I think Adeline is great at being able to do media, and I think it energizes her. So I don't think for her it was necessarily a bad thing. She's really great, she's a great speaker, she's a great representative for the sport, so it was just unfortunate that her tournament went the way it did. That's the crazy thing about wrestling. I feel like I can't go and do hard training, be on a strict diet and then still make time for the media. If someone invites me for an interview, I don't want to give you half my energy or half my time. When I'm all in for something, I'm all in.